St. James the Elder | "Northern Crossings"
Today might have slipped by without you noticing that it is “St. James the Elder” day! St. James was the son of Zebedee. He and his brother John we know as the “Sons of Thunder”. 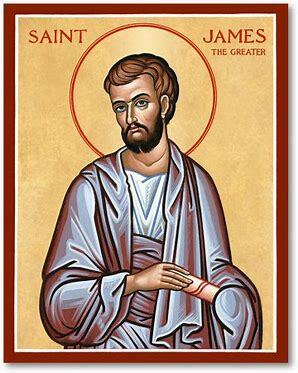 They were devout men of faith and courage and it is likely that James was the first apostle to be martyred around 44AD. And thus fulfilled Your word. PreviousLonging for the House of God? Why? NextBeverly Olson – 32 years of service.